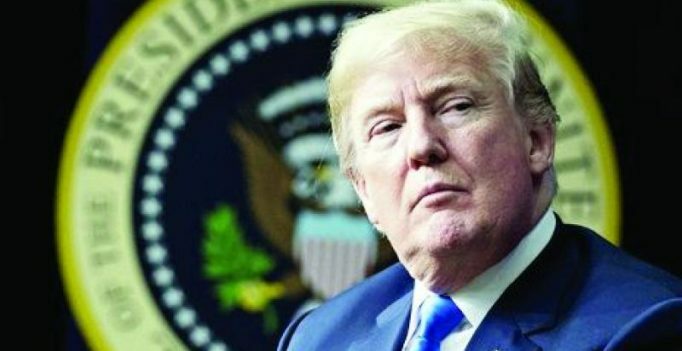 Washington: US President Donald Trump has directed the Justice Department to immediately declassify more information related to the investigation into possible election meddling by Russia, the White House said on Monday. Trump’s demands mark his latest effort to turn up the heat on the Justice Department, whom he and his Republican allies have accused of running a tainted probe into Russian interference in the 2016 US presidential election. Trump fired Comey in May 2017, originally citing the Russia probe, and then saying that the firing was not “because of the phoney Russia investigation.” McCabe was fired in March by Attorney General Jeff Sessions. Strzok was also recently fired, and has been criticized for sending texts disparaging Trump as a presidential candidate. A spokeswoman for the FBI declined to comment on Trump’s directive. The Justice Department said it was working to comply with the order. But one source familiar with the process, speaking on condition of anonymity, said neither the Justice Department nor the FBI had any idea how the declassification process was supposed to work in this case – suggesting Trump’s order had taken them by surprise. “President Trump, in a clear abuse of power, has decided to intervene in a pending law enforcement investigation by ordering the selective release of materials he believes are helpful to his defence team and thinks will advance a false narrative,” Schiff said. “With respect to some of these materials, I have been previously informed by the FBI and Justice Department that they would consider their release a red line that must not be crossed as they may compromise sources and methods,” Schiff said. Republican Representative Matt Gaetz praised the directive. “These documents will reveal to the American people some of the systemic corruption and bias that took place at the highest levels of the DOJ and FBI, including using the tools of our intelligence community for partisan political ends,” he said. A US intelligence official expressed concern that Trump’s move could reveal the identity of intelligence or law enforcement agencies’ confidential sources, making it more difficult to recruit additional sources, regardless of the subject matter. The material involving Page amounts to 412 pages of documents, comprising an October 2016 bureau application to the secretive Foreign Intelligence Surveillance Court for a warrant to monitor Page’s communications for three months, and applications to extend the monitoring for three subsequent 90-day periods. All four applications were approved. The pages that Trump ordered declassified concern Page’s links to the Russian government and alleged ties to Russia’s intelligence services, including his 2004-2007 residency in Russia, where he began business dealings with state-owned Gazprom. Trump has denied colluding with Russia and Russia has denied meddling in the 2016 election, though major US intelligence agencies agree that Russia interfered.